1. What is a Post-Production Supervisor? The Post-Production Supervisor helps supervise the editing process. They are the liaison between the client, editors, graphic artist, colorist and audio engineer. They make sure the budget is on target, the client needs are met and that all deadlines and deliverables stay on schedule. 2. What Should Potential Clients do to Prepare for Post-Production? 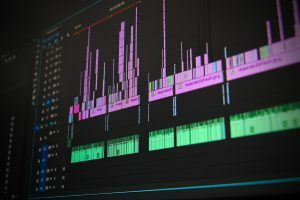 Before a client is ready to start the post-production process, the Post Production Supervisor must understand the client’s budget, delivery dates, and final deliverables. After presenting the info, The Post-Production Supervisor will then create a bid and post-production calendar for the project. The calendar provides the client with a timeline that outlines when they will receive postings, when their feedback is required, and when final deliverables and assets will be provided. Every project is unique. There are many factors that determine the post-production workflow. Some of these factors include the type of camera that was used, the amount and quality of footage shot, and the final delivery requirements. 4. Ingest and Organize the Media. Before they can edit, the editor must first ingest the footage. During this stage, the editor will begin organizing the footage by adding clip names and notes. Then, the editor will sort the footage into folders or bins, making it easier to locate during the editing process. The editor compiles the project using an editorial program. Therefore, it is beneficial for the client to provide a detailed script or notes outlining their creative vision. The editor will use this as a guideline to work his or her magic. Once the footage is in a good place, it is time for the client to review for feedback and/or approval. The client will either review the work with the editor in the editing bay to provide real-time feedback or, if the client is remote, the editor will provide a work-in-progress link that allows the client to review on their own and provide feedback. First, the client will approve the work, then the editor will finish the project. The editor will conform the sequence to the best quality version of the original source media that’s available. At this time, the editor removes temporary elements like placeholder titles, lower thirds, effects, and other placeholder media and replaces them with their final versions. Next, the editor assembles all the project’s elements into one single deliverable. These elements could include voice over, final mix, color, VFX, graphics, etc. Finally, it is time for output and delivery. At this time, the editor creates the final deliverables and hands them off to the client and/or to the networks to air. The complete post-production process can take anywhere from a couple of days to many months depending on the size of the project. Therefore, it is very important for clients to work with a Post-Production Supervisor who is organized, trustworthy and is a good communicator to ensure the smoothest process. Do you have editing needs? Find out how we can help by visiting our post-production services page.